The winners of this year’s Crosby Junior Photographic Competition have been revealed. 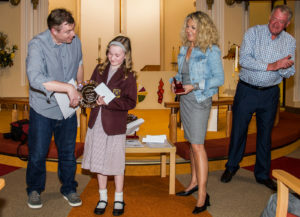 Talented young local photographers attended an exhibition and ceremony in Crosby’s St Luke’s Church earlier this month to see who would walk away with the trophy and £50 first prize. The competition drew entries from pupils and students from across Crosby, Waterloo and Thornton who were then invited to see their work in print and displayed in front of an audience for the first time. 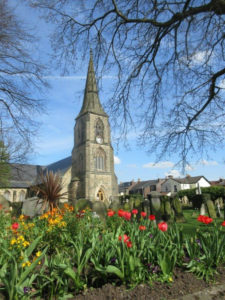 Run in conjunction with Crosby Camera Club and The Rotary Club of Crosby, the images were on the theme of ‘Sefton in Springtime’ and the judges were impressed by the colourful and imaginative work produced. 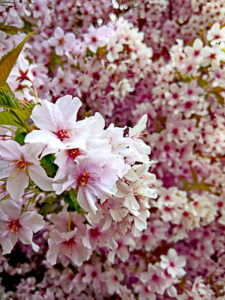 Anna Sugden from St Mary’s School fought off tough competition for the prize in the 6-11 age group with her image ‘Spring Heaven’, while Dylan Cureton from Holy Family School took home the trophy in the category for 12-18 year-olds for his photo ‘Blossom’. “This is the second time we’ve run this competition and its popularity, along with the quality of entries, continues to grow. “The judging panel found it difficult to separate their winners from the many commended photographs, but the two chosen were certainly stand-out images. The winning prints are currently on display in the entrance to Crosby Library. 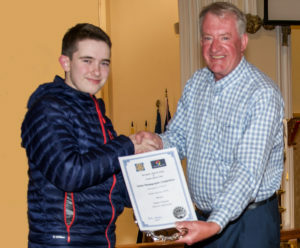 Thanks to Dave Bourne for shooting the awards ceremony, have a look at his av presentation below.